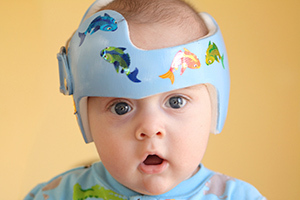 Our company offers complete adult and pediatric Orthotics and Prosthetics. We offer custom orthotic services, upper and lower extremities, spinal, foot care, custom shoes, diabetic foot care and orthopedic soft goods. 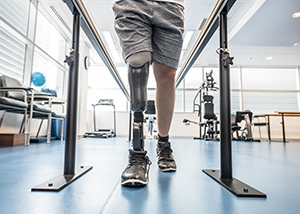 In addition, we offer complete adult and pediatric prosthetic services for above and below knee, upper extremity, post-operative management and the latest technological innovations. Certified is also a center for complex prosthetic and orthotic pathologies requiring expertise in the latest innovations and technologies. We have experience in computerized upper and lower extremity prosthetic and orthotic devices, electro stimulus devices, spinal/thoracic devices, scoliosis bracing, stance control orthoses, cranial remolding helmets, burn masks, specialty wound care devices, custom orthotic seating systems and 3D shape capture modeling replacing traditional casting methods. Certified’s staff includes Certified Orthotists & Prosthetists by the American Board of Certification (ABC) in Orthotics and Prosthetics ensuring the highest quality patient care, fit and function are achieved for the patient. The practical staff has over 50 years of combined patient care experience with diverse patient care backgrounds and specialties. Certified patient care facilities are also accredited with ABC showing our commitment to reaching the highest standards in our profession. ABC’s high standards and commitment to superior patient care make achieving accreditation with ABC a mark of exceptional quality. Our services are offered with patient care locations in Fort Collins, Greeley and Denver. We also provide patient care services in Southern Wyoming, Western Nebraska and throughout rural Colorado by offering mobile clinics at the local level. We also offer services as far south as Colorado Springs and Pueblo to satisfy referral and patient requests. In addition to the service areas, we offer on call emergency hospital services for traumatic situations and/or pre/post-surgical needs. In these situations, we are able to fit product immediately for pre-fabricated product needs or within 24 hours for custom product needs. We are able to provide this high level of service with quality products as we operate our own state of the art manufacturing/fabrication lab. 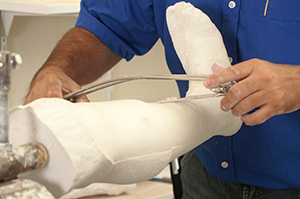 Our lab staff includes over twelve technicians with the ability to fabricate all orthotic and prosthetic devices. We are also happy to take time with any patient or referral source and provide free consultations, evaluations, product trials to help in the decision making process when considering your orthotic and prosthetic needs, goals and desired outcomes. We believe in a team rehab approach and welcome positive working relationships with the Physician, Therapist, Patient, Family and Care Takers to achieve successful outcomes. Our customer service staff is here to help and consult in dealing with insurance reimbursement. Rest assured the intricacies of insurance coverage can be explained and communicated precisely, then followed through with timeliness and care. No matter the scope of services being delivered, you will be communicated with and fully aware of any financial responsibilities that may arise from services being rendered.